BridgingApps Reviewed App | Nick Jr.
Nick Jr. is the television network’s app that lets kids watch full episodes of their favorite Nick Jr. shows, play educational games, discover original videos, and more. There is a library of fun an interactive games and new surprises and updates added constantly. Users can even stream Nick Jr. live by signing in with their TV provider. The app is free to download and easy to use. 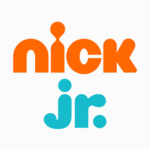 Nick Jr. is an excellent app for early learners and young students who are looking for fun and interactive games and videos that are related to their favorite Nick Jr. shows.